This Thursday marks the 100th anniversary of Thomas Edison’s ground-breaking Frankenstein movie, and it’s finally coming out on DVD in a restored print. Frankenstein’s actors were paid $5 a day and hid the fact that they were slumming in movies. 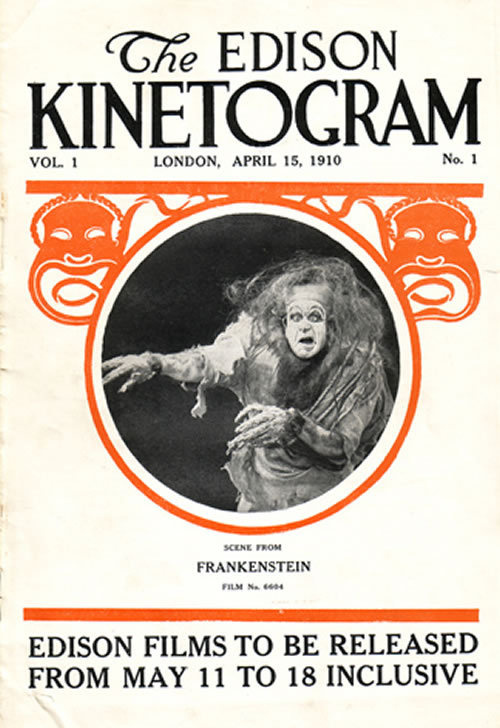 The restored DVD print of the first ever Frankenstein movie is the work of Frederick C. Wiebel, Jr., who’s also written a book about the making of that film and other early films from 100 years ago. Very cool! Thank you for sharing this, Evangeline. Great post!!! Thank you for sharing Evengeline.